After Rider University blocked them from becoming a potential on-campus food provider at due to anti-LGBTQ stances, Chick-fil-A publicly stated they’re no longer anti-gay. The problem with that statement is that it’s absolutely false. Rider University in Lawrenceville, N.J., has taken a stand against the chicken chain Chick-fil-A because of the company’s well-documented anti-LGBTQ stance and stated that despite the chicken restaurant’s popularity with students who were polled, the university won’t even consider allowing one on campus. 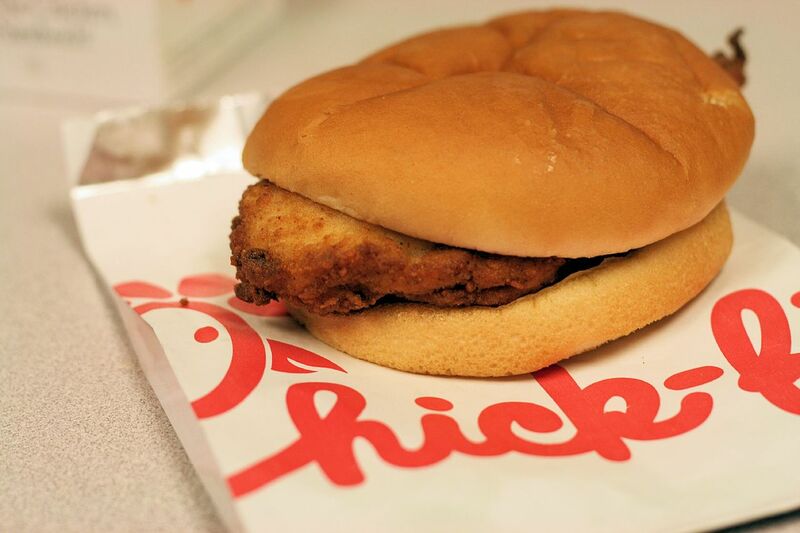 Chick-fil-A previously topped the list of chain restaurants Rider students who were surveyed would like to see brought to campus, but university officials removed it from a subsequent survey, New Jersey radio station WKXW reports. Chick-fil-A didn’t take this lightly. This statement is disingenuous, at best. Chick-fil-A’s anti-LGBTQ history has very little to do with direct discrimination against LGBTQ employees or customers. Their statement noting as much ignores their history of funneling millions in profits to anti-LGBTQ causes and organizations that seek to curtail and roll back LGBTQ civil rights here and abroad. Some of the more odious organizations they’ve historically funded include Exodus International and the Family Research Council. As of their last publicly released annual statement, they were still donating to lesser known anti-LGBTQ organizations. This is despite Dan Cathy’s vow to stop donating to all anti-LGBTQ organizations in 2015. The Fellowship of Christian Athletes (FCA) – which imparts ‘Christian’ teachings on athletes with an anti-LGBTQ religious twist. In 2015, Chick-fil-A donated more than $1 million to CFA, $200,000 to the Paul Anderson Youth Home, and approximately $130,000 to the Salvation Army. In 2016, they donated just under $1 million to CFA, approximately $130 to the Paul Anderson Youth Home, and just under $150,000 to the Salvation Army. Which is to say, Chick-fil-A is definitely still funneling profits to anti-LGBTQ causes. Tim Peacock is the Managing Editor and founder of Peacock Panache and has worked as a civil rights advocate for over twenty years. During that time he’s worn several hats including leading on campus LGBT advocacy in the University of Missouri campus system, interning with the Colorado Civil Rights Division, and volunteering at advocacy organizations. You can also find him on LinkedIn as well as on Twitter as @timsimms. He can also be reached via email.